The 360° M4 Bluetooth Speaker follows on from the successful VSS-006-360BT 360° M3 Bluetooth Speaker but introduces duel 2 x 2.2w speaker power and includes a microSD card slot and volume/track control. The 360° M4 Bluetooth Wireless Speaker remains totally portable standing only 6.5cm high with a diameter of 5.5cm and contains a 600mAh rechargeable battery that allows playback of up to 6hrs. The M4 also ships with a standard 3.5mm line in cable to use with any standard non Bluetooth device, mini USB charging cable and also a funky protective carry sock. 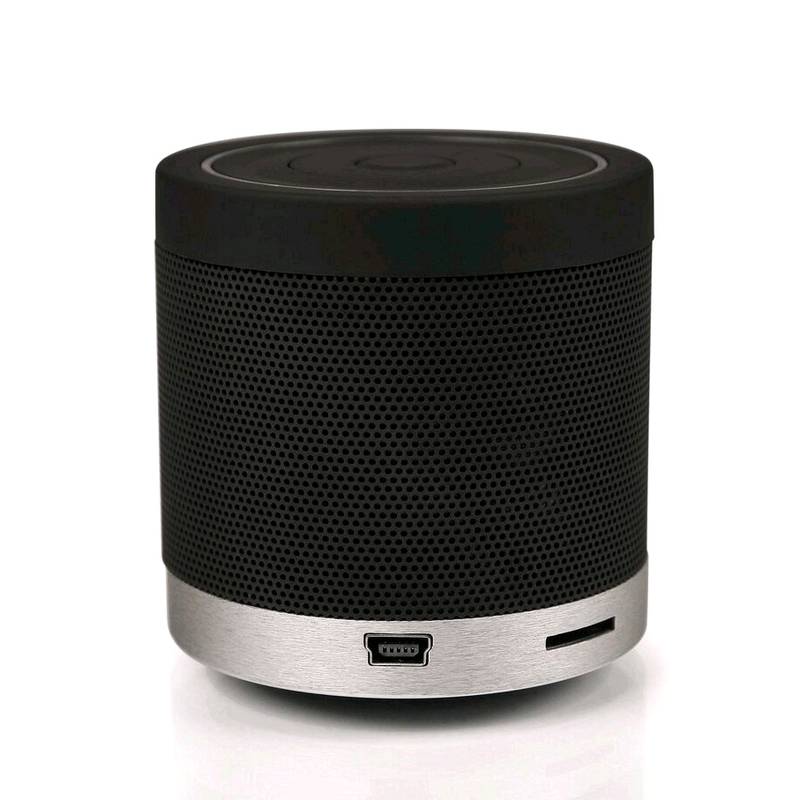 Sound output on the 360° M4 Bluetooth Wireless Speaker is doubled boosted by two 2.2 Watt speakers and for convenience volume and track control are located on the speaker so you can control your music from the speaker whether you are using Bluetooth wireless or the new micro SD port located on the speaker. The new microSD feature allows you to store your music on a card up to 16GB and the speaker internal player will support MP3 and WMV file formats. - Compatible with all wireless Bluetooth devices (iPhones, Phones, Smartphones, Laptops, Netbooks, Bluetooth dongles). - Ultra Small and portable with stereo BIG sound. - Built in Li-ion Rechargeable Battery giving up to 6 hours of constant playback. - Line in port and cable for use with non-Bluetooth devices. - micro SD slot to play music direct from source. - Volume & Track control on speaker. 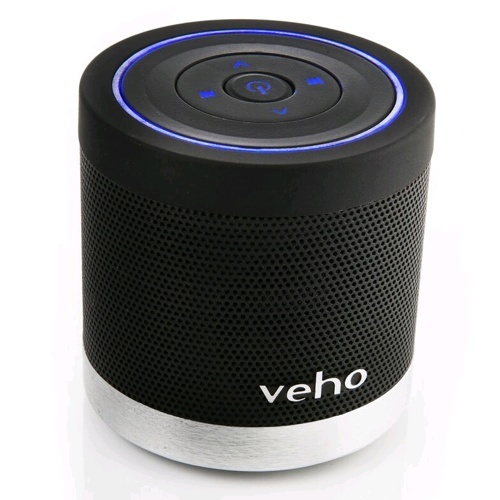 - Perfect packet sized portable speaker for travel. - 360° M4 Bluetooth Wireless Speaker. - Mini USB Charging Cable. For the size of this speaker it packs a punch! This thing is tiny but packs a punch. Love the SD slot for MP3 playback. Needed a small speaker for traveling. Didn't expect something so small to produce such a big sound! Would highly recommend.